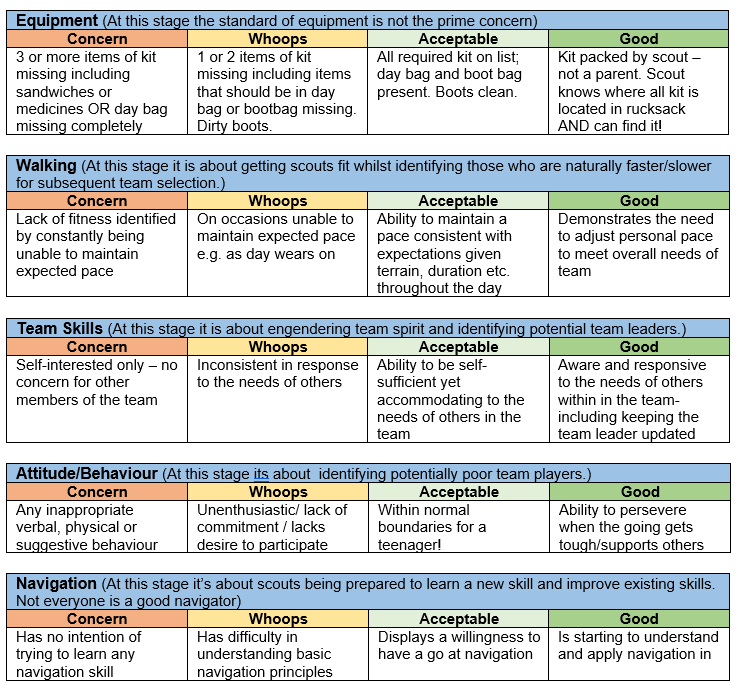 The matrix below is used to grade Scouts after a training hike. We use a matrix to ensure a consistent grading is used by all our adult volunteers. It’s used if we are oversubscribed for training and/or the event alongside other factors such as attendance to training hikes.